Sign up for my Newsletter & Get Free Stuff! I LOVE a good blanket scarf when the temperature starts to drop! This easy DIY blanket scarf is super simple to make – you don’t need a sewing machine OR much DIY skill at all. 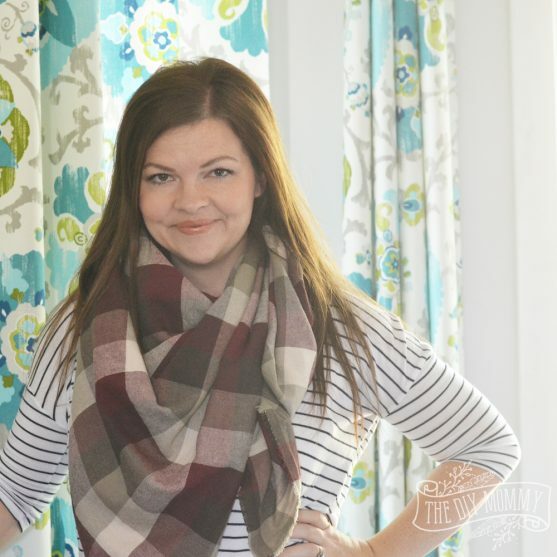 I’ve shared a tutorial for a blanket scarf in the past (you can read my first blanket scarf tutorial here), but today I’m sharing a video tutorial along with some fun ways that you can tie it. The trick to making a good blanket scarf is in the fabric. Look for a brushed cotton, yarn dyed fabric. That is, soft flannel-like fabric that is coloured on BOTH sides. I found my fabric at my local fabric store, but you can also check out fabrics here at Fabric.com (my affiliate link). 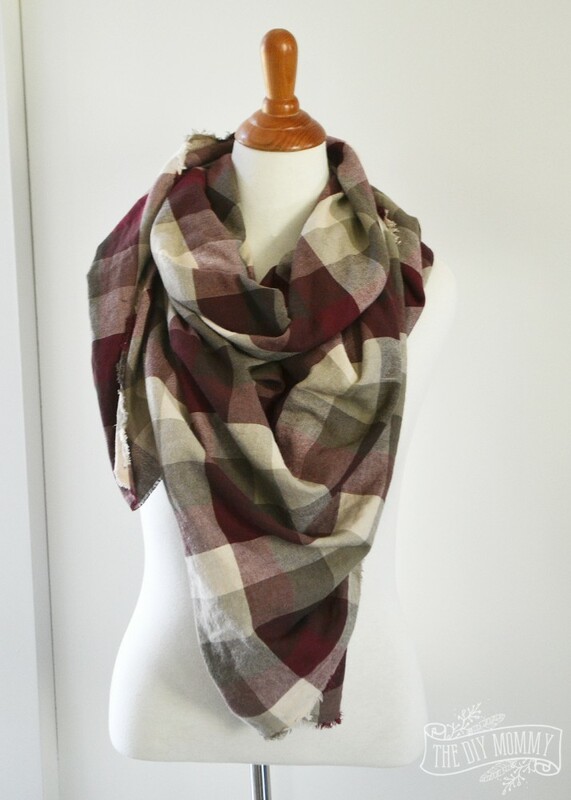 This cozy blanket scarf such a versatile piece for fall. Happy scarf making! Hi Christina, I definitely want to make some of these for Christmas! Could you tell me where you got the fabric before I run all over the city? Thanks so much. It’s adorable, and do are you! I think I found it at Fabricland! Maybe the St. Albert location!